OhmConnect user Jayaprakash almost ignored a text message he received this week, letting him know that he’d won $5000 in this week’s MEGA #OhmHour contest. Lucky for him, it wasn’t! 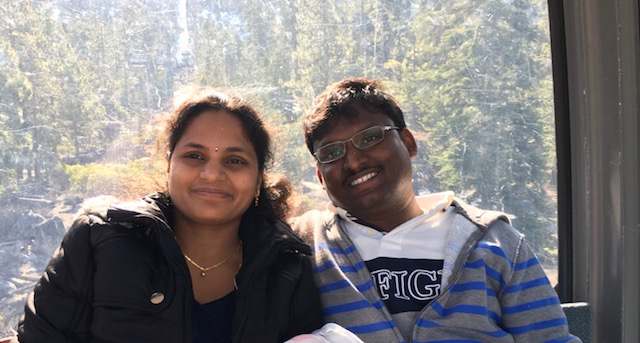 Jayaprakash was named the third winner of MEGA #OmhHours, a challenge that awarded him $5000 for showing off his energy saving skills and saving 50% during his latest #OhmHour. An OhmConnect customer since 2016, he spends most of his #OhmHours outside walking with his kids after turning off everything in his home, including his appliances and water heater. Why are we giving away prizes like $5000? If you haven’t already, sign up for OhmConnect and keep an eye out for an email in your inbox about a MEGA #OhmHour. It could be coming as soon as next week.